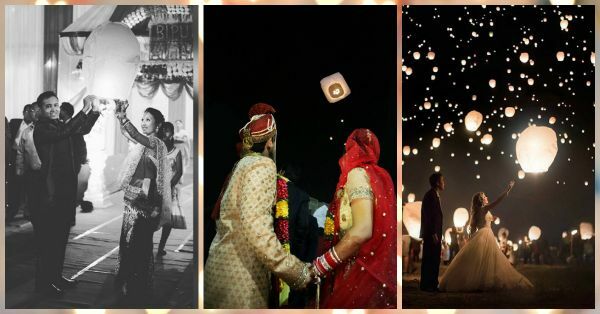 #WeddingTrend: Gorgeous Wishlamps For An Unforgettable Night! 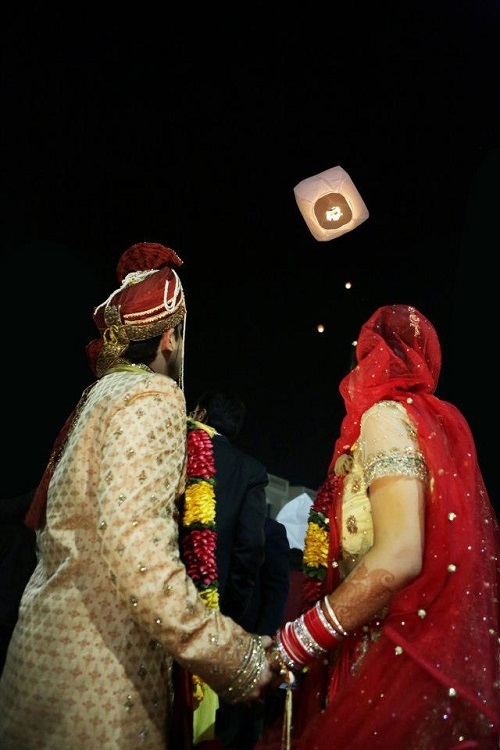 Wish lamps or sky lanterns are one of the most beautiful things to happen at Indian weddings. For those who don’t know what exactly are these…they are basically lit lanterns flying in the sky. And they look absolutely magical. 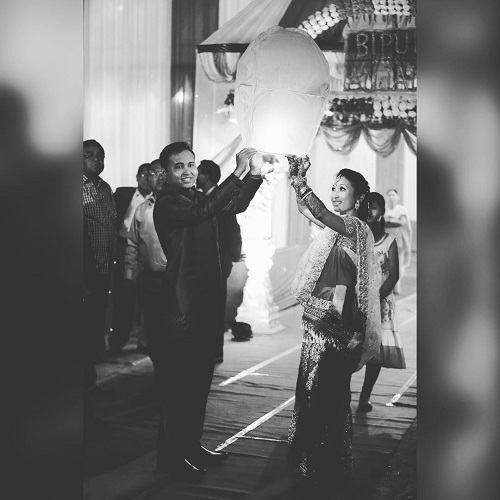 Pick a special moment of your celebrations and release these floating lamps into the air. Could be right after the pheras, during the sangeet or even when you exchange the varmala. This super gorgeous pic is from my bestie’s wedding! 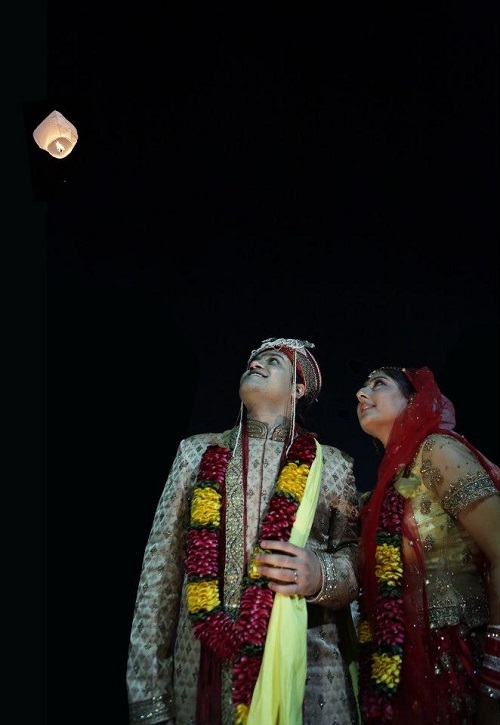 The newlyweds Ridhima and Varun wrote a wish on the lamp and released it into the skies. The paper of the lamps is extremely delicate, so if you want to write wishes, make sure you use a thick and soft-nibbed felt-tipped pen and write something really short so the paper does not get too wet. And this one from my own! 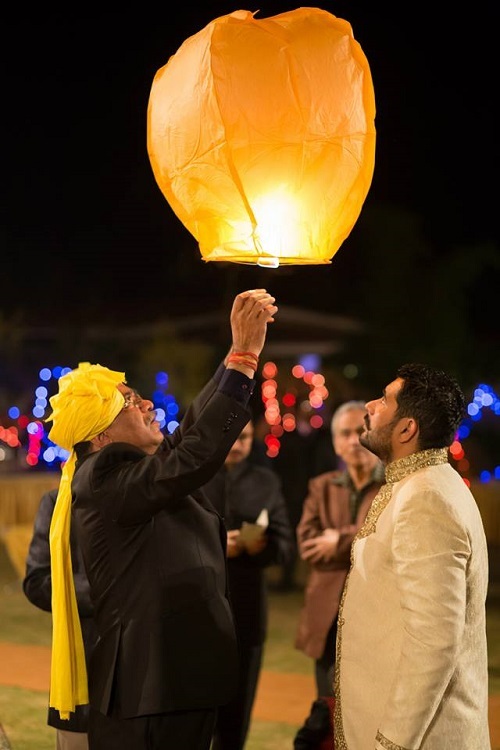 All the guests made a wish and released some 25 lamps into the air just after the jaimala. They go up to 2,000 feet and the sight is breathtaking. You could get a bunch of these for all the guests and fly them all into the air. It takes a minimum of two people to release one. There is a small wax cube that needs is lit with a match, and it takes a while before the air fills into the lamp and it slowly takes flight. Be sure that a couple of people from your family know how it’s done and have practised flying them before. The instructions come at the back of the pack and are super-easy once you get a hang of them. Image: Globosdeluzec on Instagram You could even use them to plan a sweet proposal! Image: Globodeluzec on Instagram This is gorgeous! 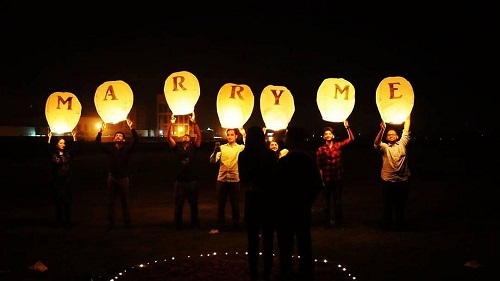 If you really want to light up the sky at your wedding, instruct the venue staff to float these along with all the guests. These sky lanterns come in various colours and don’t cost a bomb. You can buy them on Snapdeal, Amazon or India Sky Lanterns, and you just need lighters or matchboxes handy. Word of caution: These are illegal to fly within 5 km of any airport and if your venue is anywhere near these structures, do not try this! They could be a flying hazard. Image: Sweetums_ode on Instagram Steal the trend for your wedding and we bet your guests will be talking about it for a long, long time. 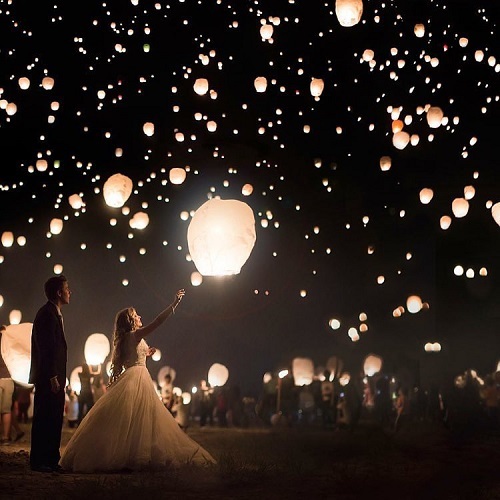 Sky lanterns are truly magical! :) HAVE A STORY IDEA FOR POPxo? If you want to hear about it, we can write about it! Just tell us your idea here! 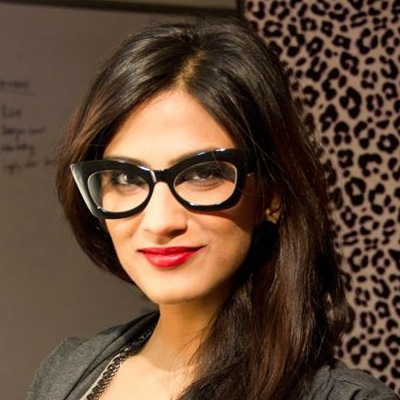 MUST-READ: The Hottest Wedding Trends Of 2016 – Revealed! MUST-READ: Wedding Card Ideas?! Check Out These Gorgeous Invites!